Gold ended the previous trading week with a decline after gold quotes had updated highs in more than nine months. However closer to the weekend, investors began to close longs, initiating the development of a correctional wave, which might continue today. The main negative factor for precious metal is the beginning of corrective USD dollar upward pullback. USD dollar index restored some of its positions on very strong data on the US labor market, putting pressure on the precious metal. It is likely that in the coming week, USD dollar remains a key factor affecting the yellow metal. In this regard, the focus will be on statistics from the United States, as well as the speeches of the Fed representatives. On Friday, the latest data on the US labor market turned out to be somewhat mixed. On one hand, the largest number of created jobs in the last 11 months was detected. On the other hand, the unemployment rate rose to 4.0%, while the average wage growth rate was only 0.1%, with expectation 0.3%. The low wage growth generally justifies the Fed’s cautious approach to monetary policy. This week China markets will be closed for New Year's celebration on the Eastern calendar. On Monday in Europe and the USA there are practically no important economic publications in the calendar. On Tuesday, we will analyze data on EU retail sales, as well as data on business activity in the US services sector. Perhaps Donald Trump speech in the US Congress will be the most important event of the week and have a stronger impact on the course of trading. On Wednesday in Europe, investors will focus on data on industrial orders, and in the US, all attention will be directed to the speech of Jerome Powell, who will speak at an event in Washington. On Thursday, traders will evaluate the report on industrial production in Germany and updated economic forecasts for the EU for the next 6 months, which will be presented by the European Commission. On Friday, there will be no much news for analysis. Perhaps the greatest even of the day will be the speech of president of the Federal Reserve Bank of St. Louis James Ballard. On the chart, after testing an important resistance level of 1325.00, a downward correction is being formed, which may continue in the coming days. At the same time, this movement does break the overall structure of the bull trend, which continues to dominate the market, therefore, over a longer distance, the scenario with the tool growth in the direction of 1350.00 remains the general priority. We can wait for the formation of reversals in the range around 1300.00-1310.00 and look for longs entry points. 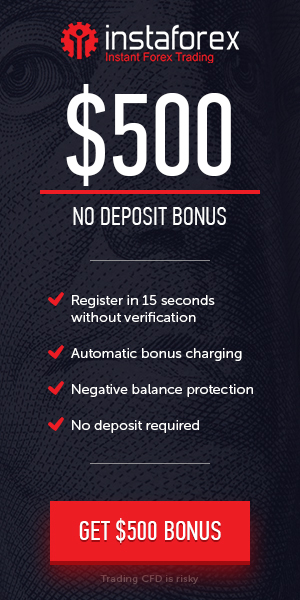 Fort Financial Services - a licensed international Forex broker. A wide range of trading opportunities: more than 500 tradable contracts, Fort, Flex, Pro and Newbie accounts, direct access to world exchanges, diverse trading platforms: MetaTrader4, CQG Trader, Ninja Trader, Binary Options, partnership programs, free analytics and much more.